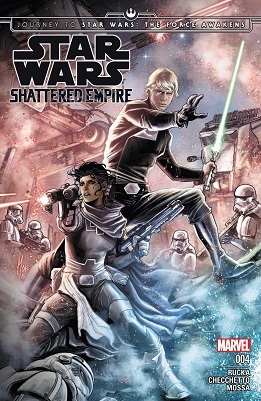 Star Wars 33 is a done-in-one story and features a really lovely moment from Leia. 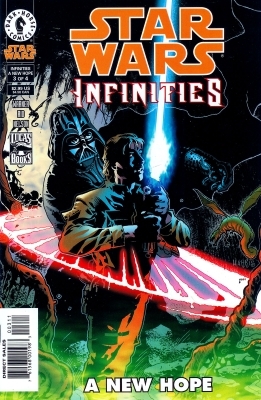 Marvel's EMPIRE STRIKES BACK: Adventure. Excitement. I wanted to post this for May the Fourth, AKA Star Wars Day. It is a page and a half from the "Treasury Edition" of Marvel's adaptation of THE EMPIRE STRIKES BACK. And I'm posting it because I have a question about Yoda's original opinion of Luke Skywalker. The second has Luke and Han going on what SHOULD have been a simple supplies run, but Han gambles and loses the money they were going to use to buy everything, leaving them flat broke in a dodgy neighbourhood. I was a weird kid (this is harldy news I know, but even so), when I watched Star Wars back in 1978 a part of me asked very mundane questions - What WAS a moisture farmer? Were they respected? On a desert world, I guess they would have had to have been, to some extent or another. Presumably, without them, the population would die of thirst... and if so, what happened to Lars and Beru Owen's farm after their unfortunate encounter with the Empire and Luke heading offworld? It would seem I wasn't the only one, to at least some extent. 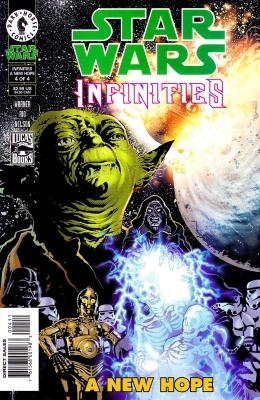 This is from the Star Wars 10th Anniversary 3-D Special (reprinted in the Star Wars - Wild Space Omnibus, which reprints a lot of odd stuff like the UK only Star Wars stories (There are two by Alan Moore I'd have loved to post, but 1/3 of 5 pages just plain wouldn't work) and which I would thoroughly recommend getting hold of a copy of. 26 out of 82 (yes I actually counted up the two page spreads this time cause, suprising to myself this is the post where I used up the most pages). 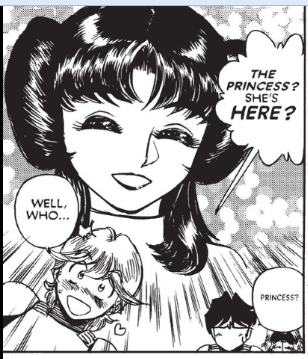 I'm going to throw up 5 more pages of Vol 2, and 19 pages of vol 3 (out of 85+). Since the Jedi were inspired by the Samurai movies of Akira Kurosawa (especially The Hidden Fortress) it's only fitting that in the manga adaptation some Samurai tropes and Kenjutsu stances are used. 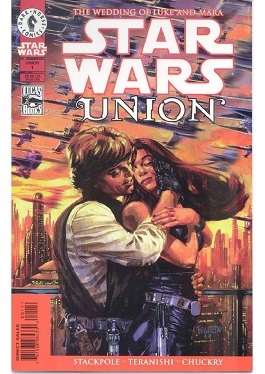 Since Neko was kind enough to share with us what Star Wars might have been, and since not too long ago we saw the early Marvel adaptation, let's see how it gets handled in another country. Also I don't have an accurate page count on this book since Comixology counts two page spreads as a single page, and I will admit I'm too lazy to count those all up... It's over 80 though, so I got lots of room. 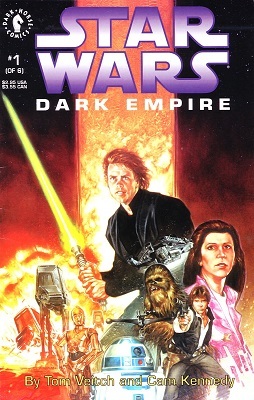 STAR WARS TALES was an anthology DARK HORSE series, where many of the stories were either humorous or of "questionable continuity." 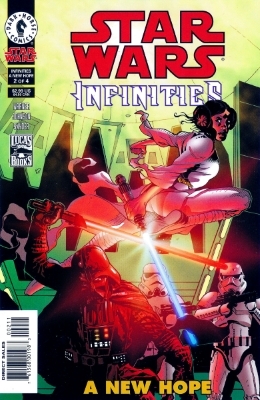 Issue 16 had Leia Organa-Solo decide "With Great Power comes the Great Responsibility of not using that power." By John McCrea and Jason Hall. This issue is jam packed; picking out 1/3rd was very hard, and the reason I didn't upload the whole thing last month. Sadly I couldn't include any of Han, and Luke fighting the Emperor's personal guard. Our Heroes arrive at Coruscant, which his surrounded by a massive number of Imperial ships including several Executor-class Super Star Destroyers, as well as the Death Justice Star. The party splits up; first they drop Yoda off at the battle station, before Han, and Luke head for the planet below. Five years have passed, the war is over, the Imperial Senate has been reinstated though restructured, and Han and Chewie watch in a bar as the the ceremony marking the Death Star, now rechristened the Justice Star's, relocation to Corouscant's Orbirt plays on a holoprojector. Hope we're still in a Star Wars mood! A while back I posted part one of the What If style story, where mechanical failure prevented Luke from destroying the Death Star. The rebellion is mostly wiped out, and Princess Leia is in the hands of the Empire. Luke, and Han narrowly escaped the Imperial forces, and now are having a little disagreement on how to proceed.